Hi. 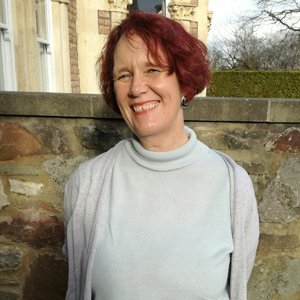 I'm Catherine, and I work part-time in the IELTS department, helping to run the IELTS exams, and part time in the Foreign Language and EFL departments. I partly grew up near Bristol, before taking a degree in French and German at Nottingham University and leaving Britain's fair shores. I spent 26 years teaching English in Portugal and Romania and returned to lovely Bristol with my 2 sons in 2013, where I enjoy meeting friends, ballroom dancing and finding excuses not to do sports!